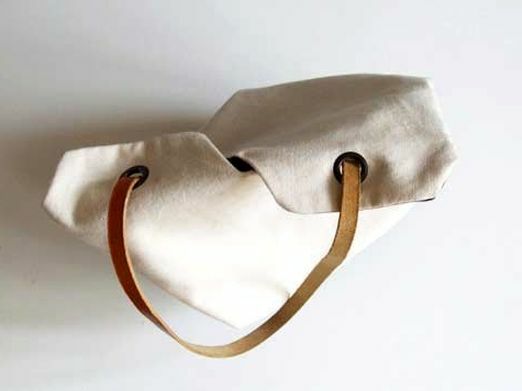 Sew Practical bag of linen. Tutorial ~ DIY Tutorial Ideas! This bag closes itself as soon as you lift it. 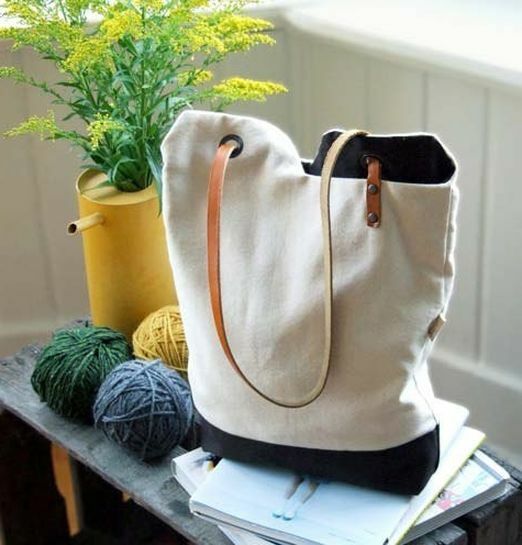 The dark base makes the bag practical, but it looks easy, simple and unusual. 1. 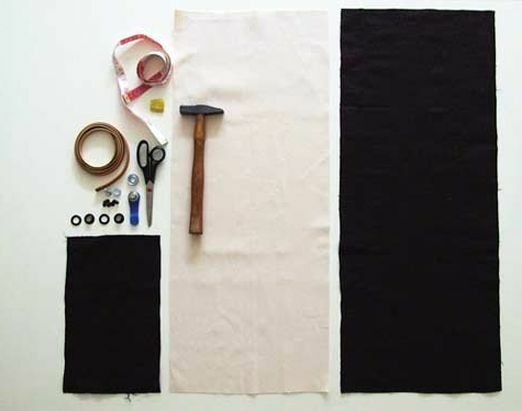 Cut a piece of flax 30 x 82 cm, a piece of dark brown fabric 30 x 82 cm and a piece of dark brown cloth 30 x 18 cm. 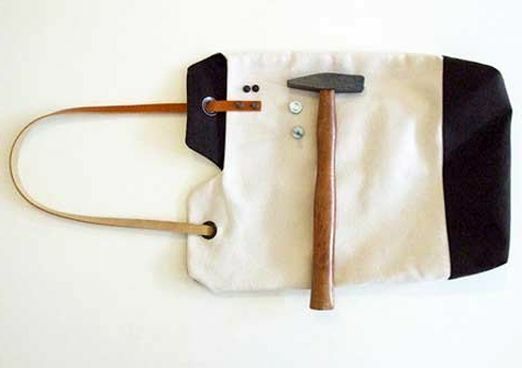 Form the handles at the bag as shown in the picture with a ruler, pencil and scissors. 2. 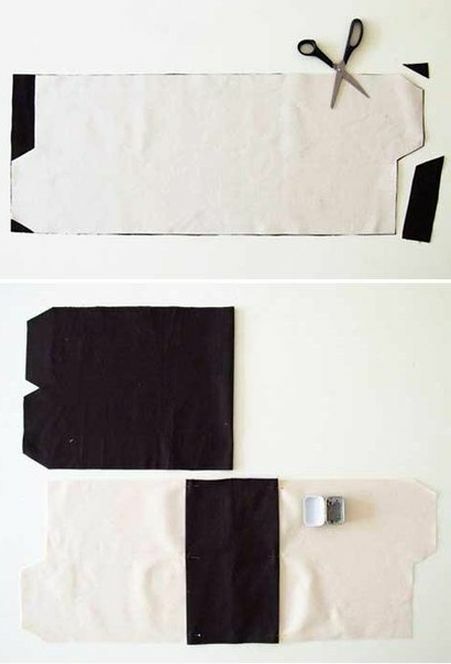 Attach a smaller piece of dark cloth to the white canvas. Attach it exactly in the center - it will become the base when the bag is ready. Sew together, bending the edges inward. 3. 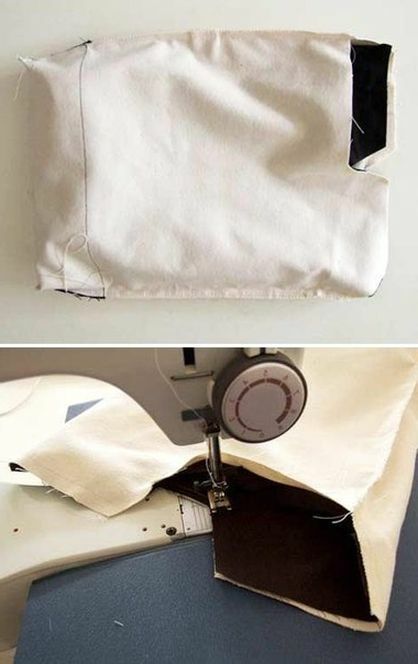 Sew the dark part from the wrong side on the sides, leaving a hole that you will need later. 5. Repeat the same with the white cloth. Make sure that the outside is inside of you. 6. Put the bag details in each other. Make sure that the seams remain inside and will be invisible. 7. 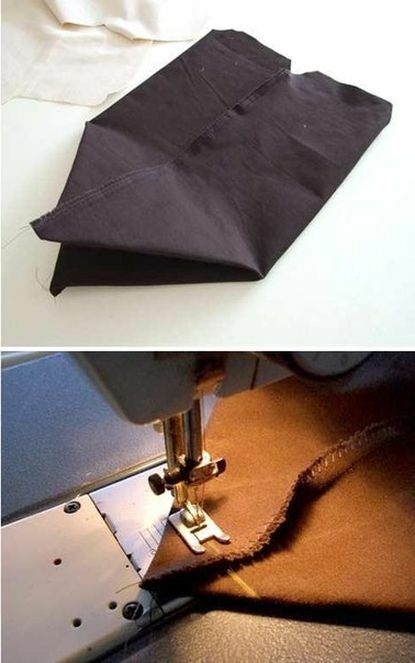 Sew the bag from the wrong side. 8. 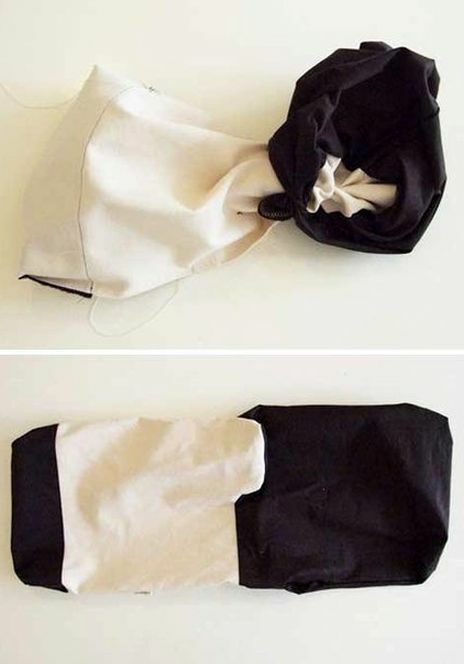 Unfold the bag and find in the lining the part that you left not stitched. Through it, unscrew the bag until it completely reveals its "face". Everything that was supposed to become invisible will become that. 9. 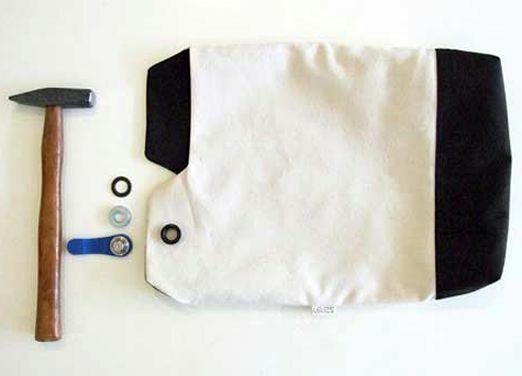 The left hole can be sewn with a hidden seam, after which the bag needs to be ironed. 10. Punch the eyes to connect the belt with the bag (this can be done in the departments "repair of shoes and bags"). 11. Thread the strap through the eyes and secure it with rivets on the opposite side of the bag. 12. Repeat the same with the other end of the strap.